Apple supplier Taiwan Semiconductor Manufacturing Company has announced today that its founder and chairman Morris Chang will be stepping down from all leadership positions effective June 2018, immediately following the annual shareholders meeting taking place that month (via DigiTimes and Reuters). Following Chang, TSMC will fall under the dual leadership of Mark Liu and C.C. Wei, with the former executive taking on the chairman of the board position and the latter becoming sole CEO of the company. 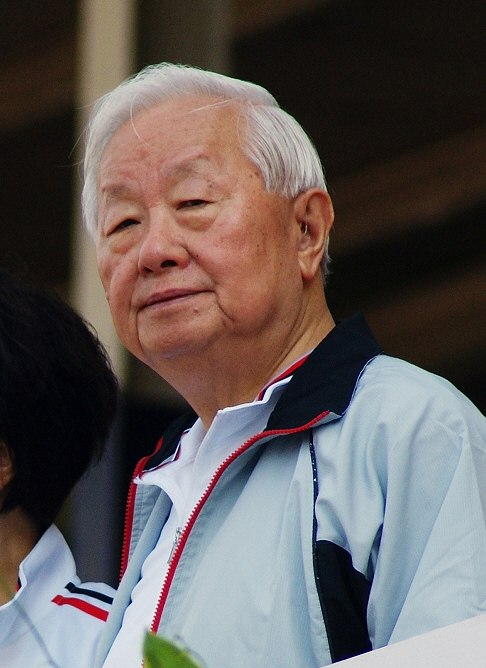 Chang mentioned personal and family reasons for his retirement, and assured investors that the transfer of leadership would not change TSMC in any way, looking back on his time at the company, which he founded in 1987. Chang is now 86, and has earned a status as the father of Taiwan's chip industry. Chang added, "The past 30-odd years, during which I founded and devoted myself to TSMC, have been an extraordinarily exciting and happy phase of my life. Now, I want to reserve my remaining years for myself and my family. Mark and CC have been Co-CEO's of the company since 2013, and have performed outstandingly. After my retirement, with the continued supervision and support of an essentially unchanged board, and under the dual leadership of Mark and CC, I am confident that TSMC will continue to perform exceptionally." The plan of succession is said to have been in the works "for years," with Liu starting as a senior vice president for operations at TSMC and Wei as SVP for business development. Eventually, the two SVPs were promoted to chief operating officers in 2012, and then climbed to each gain a co-CEO status in 2013. Analysts looking at the situation see the two new leaders keeping TSMC's status quo on track "for some years." But if something new comes up, such as uses of new technology that increases TSMC’s cost, they’ll need to change their plan accordingly, Li said. One of TSMC's biggest customers is Apple, and the supplier has been connected with Apple's iPhones and iPads since 2011, when reports first began coming out that Apple was looking into diversifying its supply chain. Samsung was the sole supplier of the A5 chip -- which was found in 2011 devices like the iPad 2 and iPhone 4s -- but due to patent-based legal disputes and Samsung's rise as a competitor in the mobile device market, Apple began looking towards other chipmakers from which it could source its A-series chips. TSMC eventually entered trial production on chips in the A5 and A6 range, but didn't officially make it into production on A-series chips until the A8 in 2014, on the iPhone 6 and 6 Plus. Apple has still sourced some A-series generations from Samsung, most notably -- and infamously -- looking to increase volume for the iPhone 6s launch in 2015 by dual-sourcing chips from both Samsung and TSMC for the A9. Since then, TSMC was the sole supplier of the A10 chip for the iPhone 7 family in 2016, as well as for the A11 chips in the iPhone 8, iPhone 8 Plus, and upcoming iPhone X. Still, rumors persist that Liu and Wei will face increased competition from Samsung in the chip fabrication space. The TSMC rival is planning to "triple the market share of its contract chip manufacturing business within the next five years by aggressively adding clients," potentially including a return to its previous status as an A-series supplier for Apple, although some analysts disagree. Simultaneously, TSMC is gearing up to build the world's first 3-nanometer chip production plant in Tainan Science Park in southern Taiwan, marking at least one upcoming TSMC plant that will remain in Taiwan and not be built in the United States (via EE Times). The 3nm production sees TSMC preparing for the release of products far down the line; currently the supplier uses a 10nm FinFET process, with 7nm planned for 2018 and 5nm and 3nm gearing up "as early as 2022." Holy mackerel! 3nm. Just for scale, that’s only about 10x the diameter of a copper atom, folks. I hope I'm not still working at 86. Good for this guy..now go enjoy retirement. Completely off topic. Apologies to all. Retirement isn't for everyone. For some retirement is akin to a slow death. They can't not work. I didn't even think less than 5 nm was possible. The lattice for silicon is about 0.5 nm from what I've read. So this is pretty close to the limit, size-wise. Yep. Moore’s law is dead. There’s an excellent ArsTechnica article ('https://arstechnica.com/information-technology/2016/02/moores-law-really-is-dead-this-time/') about its illness and death that really is worth the several minutes the read will take. Excellent summary. Technical enough to be thorough, but well written enough to get. Note that it was written a year and a half ago, and the Cannonlake processor it says was pushed back from 2016 to 2017 has now been pushed back to 2018. Some just cannot sit around and do nothing. Also, being an employer, perspectives change as one realizes that his actions and decisions do not only affect his own family, but his employees and their families as well. And with him having tens of thousands of employees, I cannot even imagine the responsibility he must have felt. People always think of executives and business owners as "evil rich people". But they also forget that those people are also humans. Not every executive/business owner is evil and greedy. Just like not every employee is honest nor hard-working.